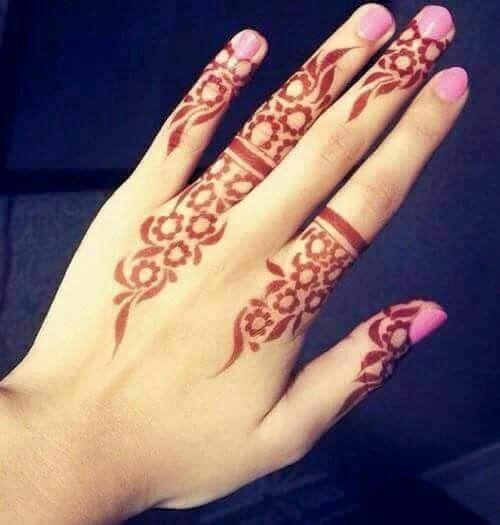 Between engagements, bachelorettes and weddings, there’s always a henna design on a girl’s hands. And if that’s not the reason, there are always festivals to look forward to. 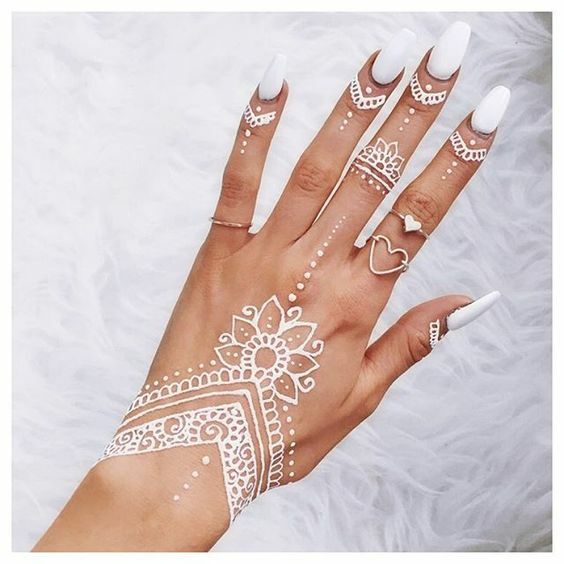 With the ever-increasing number of styles and the trend of a ‘temporary tattoo’, henna designs have become a fad among the fashionstas. 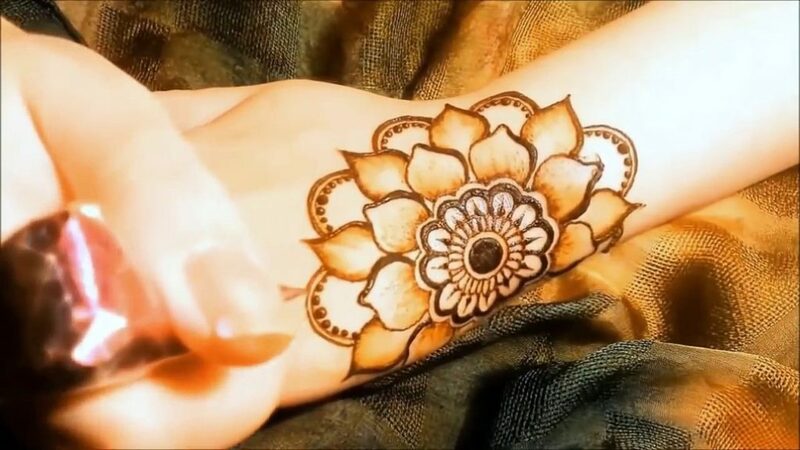 Here are a few flower designs that you can try not just on your hand, but different regions where you’ve been wanting to keep a tattoo! 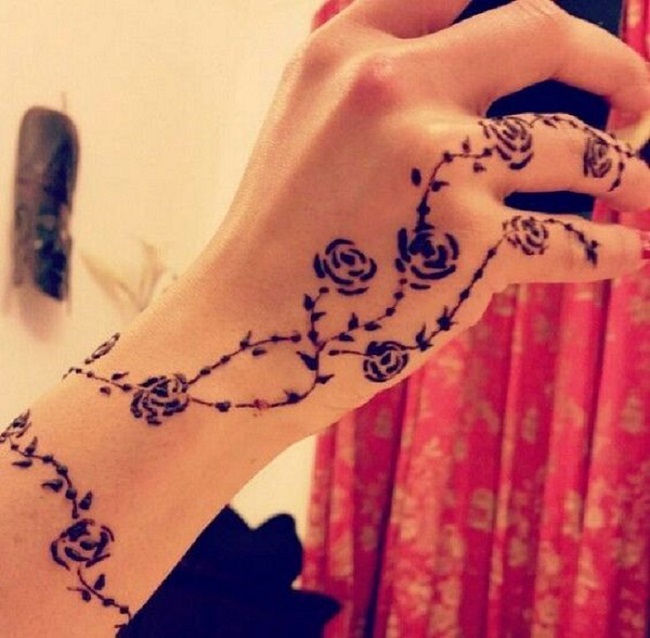 Create a simple vine and a single flower pattern on your hand for an Arabic touch. You can add layers or create a doddle around the same too! 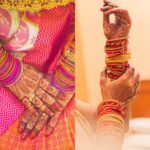 Creating a swirl and a half structured design with a repetitive floral pattern would not only suit every festival/wedding ritual, but also be among the latest trends. 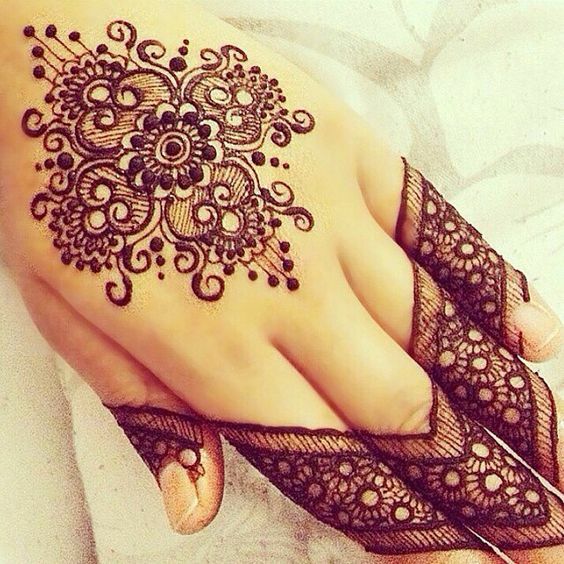 An elegant yet subtle design on the back of the hand adds an Arabic feel to the henna artwork. Combine with simple leaf texture and circles and create an exquisite design around your nails! 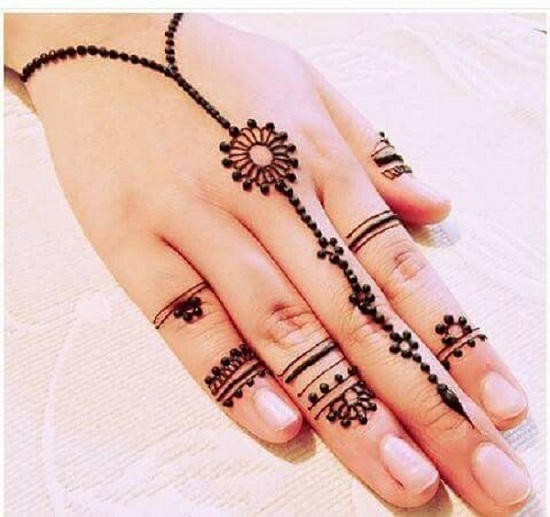 Accentuating the fingers, fill up a single flower and add on some favourite doodles that would not only stand out, but work out even with your casuals! 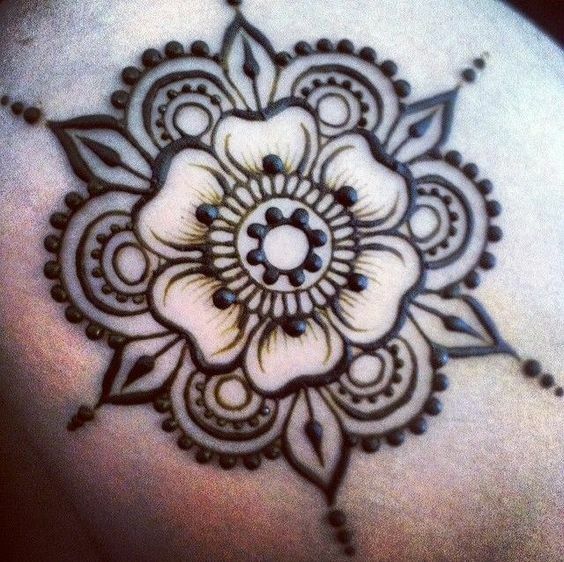 Taking a traditional and a shaded approach, design a floral pattern that fills up the back in a disjointed fashion with shades and fillings that add on a 3-D effect! A simpler texture, combine the circular patterns and dotted edges to form a singular flower with as many levels as you want! If you’re a tom-boyish girl, this is the design for you! 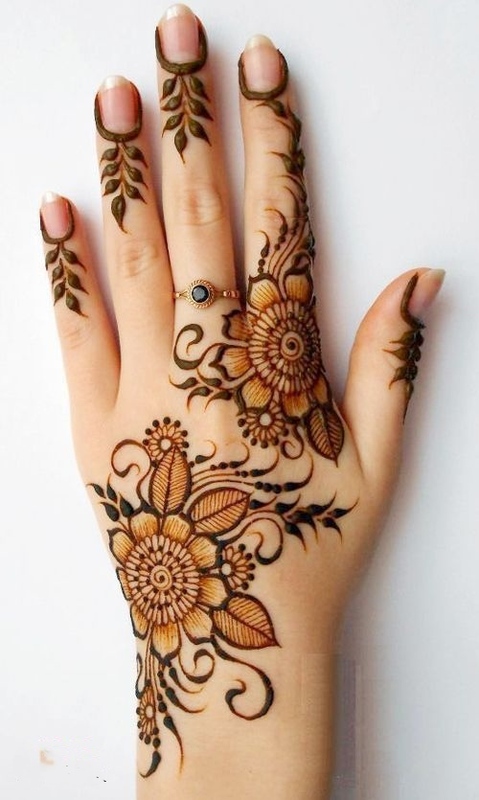 Depict a single floral motif that fills up the space on your hand that would easily be noticed yet keep it straightforward! 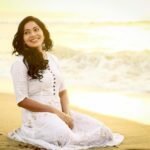 A pattern for the experienced ones, add on detailing that would showcase a three dimensional effect in a minimalist form. A singular floral with vines adjoined, this pattern would depict continuity in rich tones and the best part, effortlessly captivating! 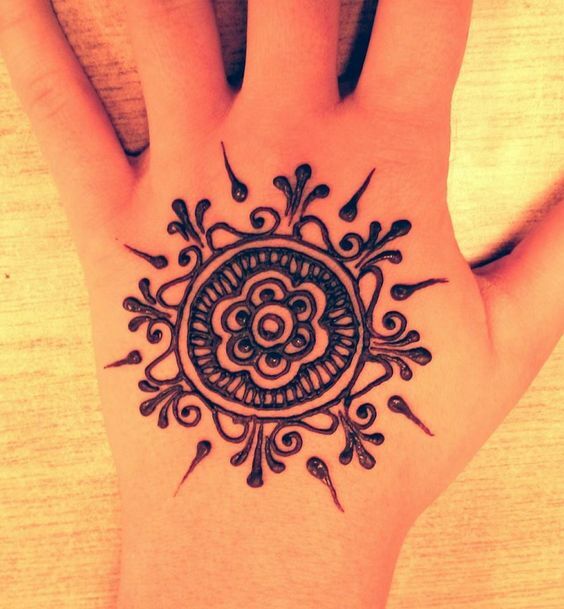 Want to try the white ink henna? 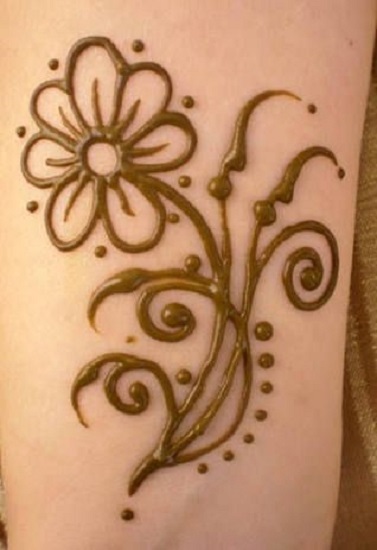 One of the latest trend in the henna business, gain some intrigue points by experimenting with this. 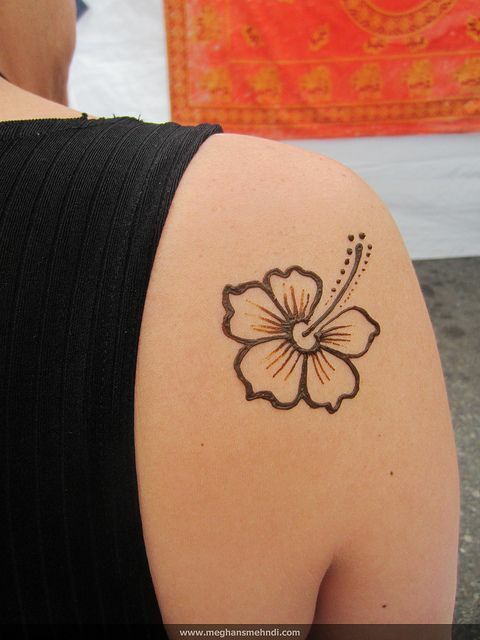 Creating uncomplicated structures, try out this simple design as one of your temporary tattoo design! 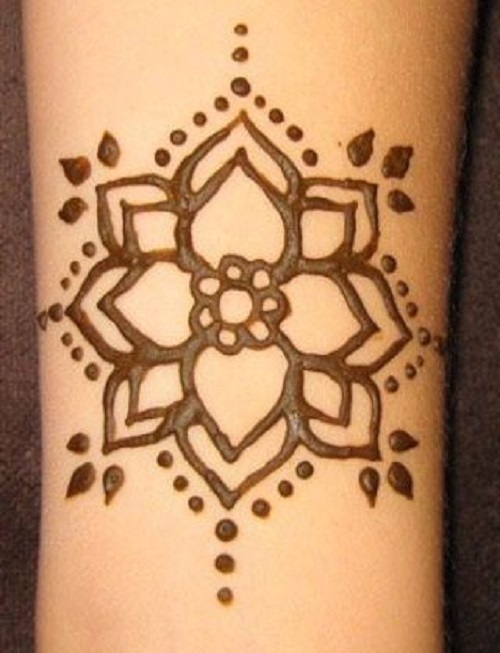 Try out these simple textures on your arm, which would not only be an intriguing but also make it last longer. 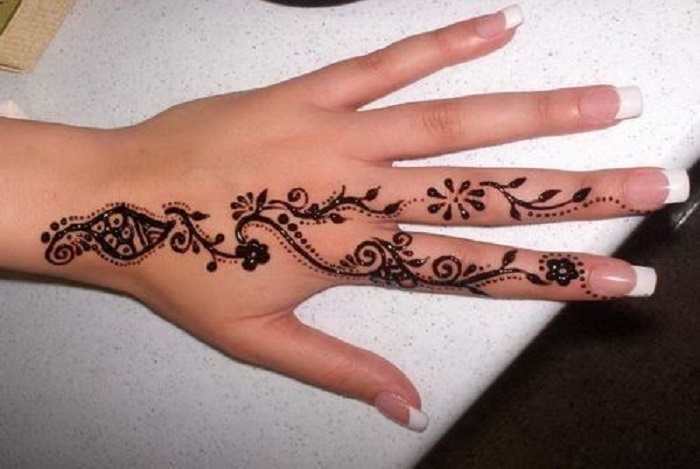 Creating simple outlines, this would definitely show your straightforward nature! Adding a design to your toes, illustrate this streak design that loosely depicts a floral pattern and makes your feet look intriguing in those flat sandals you love to wear! 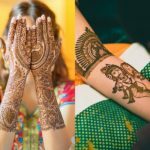 Have been thinking of a tattoo on your arm? Try out this floral composition that you can flaunt with your sleeveless attires and would be perfect for your casual or evening looks! 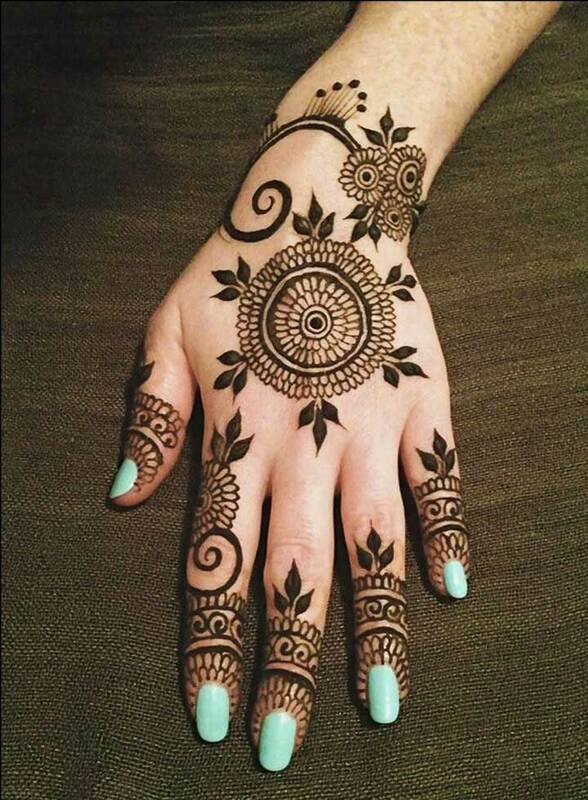 Coupling floral with a bit of imagination, create a design that flaunts your style while keeping the femininity of the henna texture alive. Include a little surrealism into your design by illustrating an unfinished pattern with room for interpretation. Not only will it be intriguing, but also be a conversation starter! 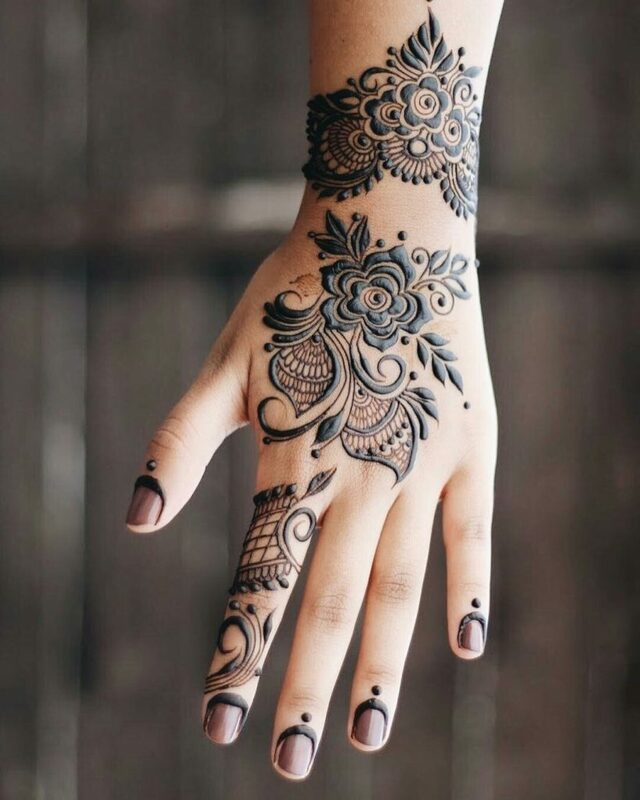 Create this two-finger design that has been inspired from the Arabic motifs of vines and dots as well as the Indian traditional motifs of paisley. 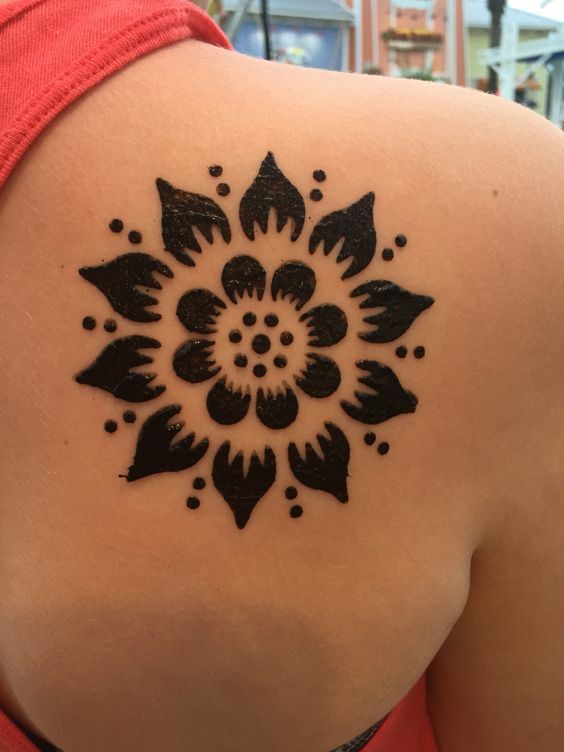 Form your own design by incorporating different designs and doodle your way to a unique style! Dots is your way to go? 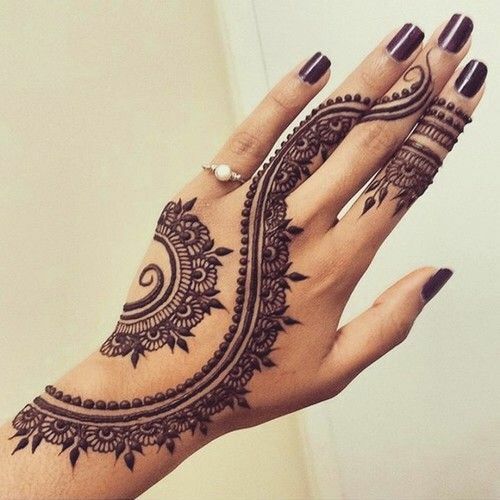 Here’s a henna pattern that you can combine with subtle florals, lines and dots that can be done under 5 minutes! 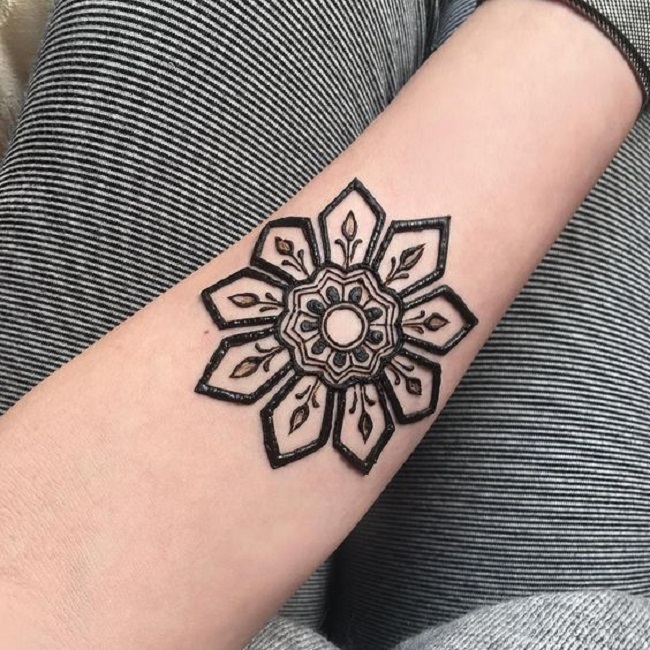 If you prefer to have symmetrical patterns, here’s a design that is part tattoo design and part traditional that can be illustrated on your arm with a modern touch! 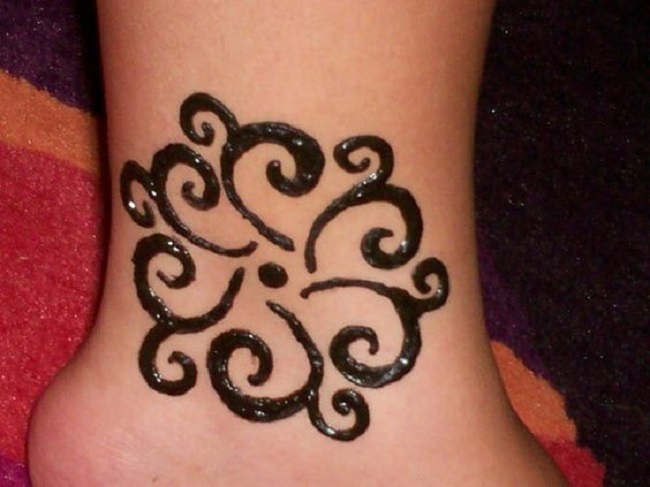 Try a pattern over your ankle that would look lovely with your folded denims or culottes. Completely made from swirls, this design demonstrates ‘flow’ like no other. 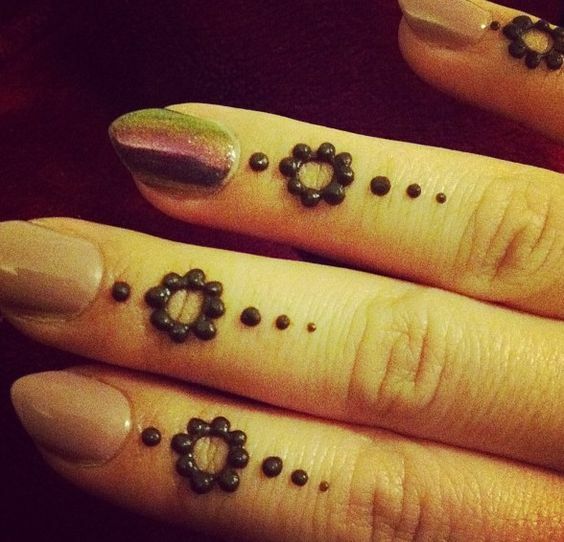 Design it under 5 minutes through a combination of dots that would appear like a floral one. A minimal texture, this is suited for your fingertips that you can flaunt with a bright shade of nail paint! 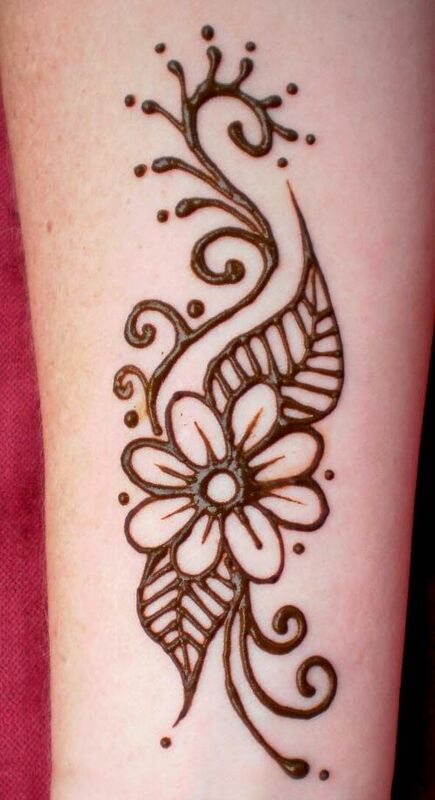 Blending florals, vines and swirls, you can elongate this simple motif throughout your arm or even on you palm! 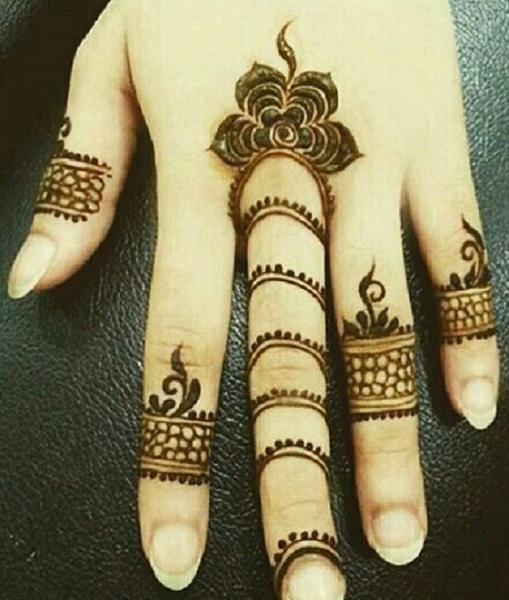 A perfect rendering of a stamp, this design is for the experienced. 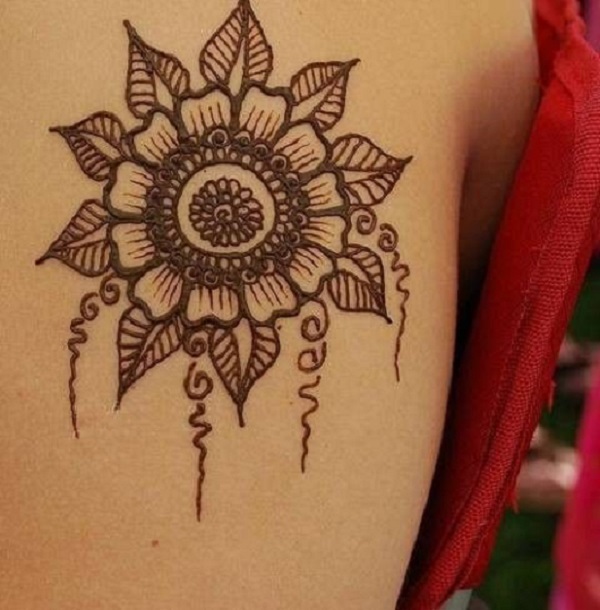 Create a structured flower motif that can be compared to a sun’s analogy! 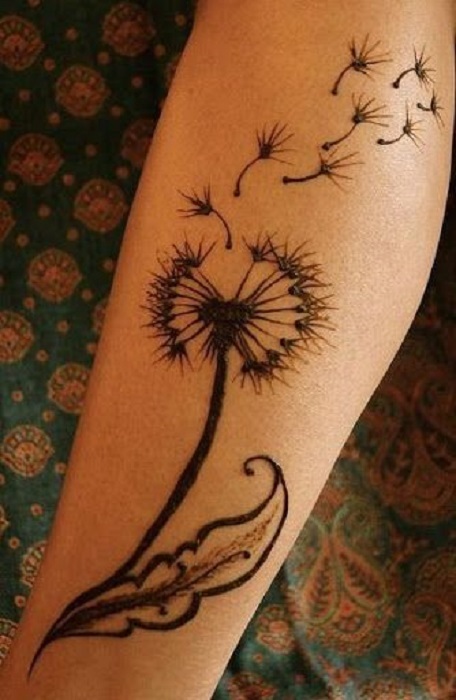 A design from the modern times, a wishing dandelion is not necessarily only a tattoo design, but can also be done with a henna on your calf and flaunt your style among your friends! 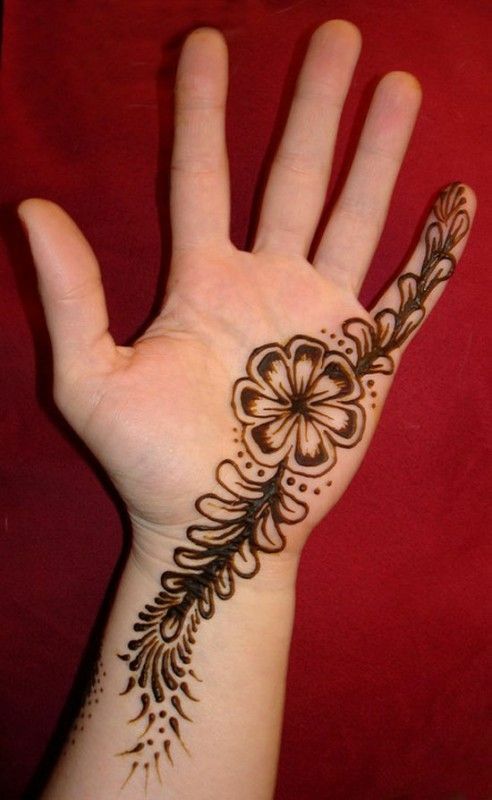 A subtle and shaded design, this floral pattern is full of grace! 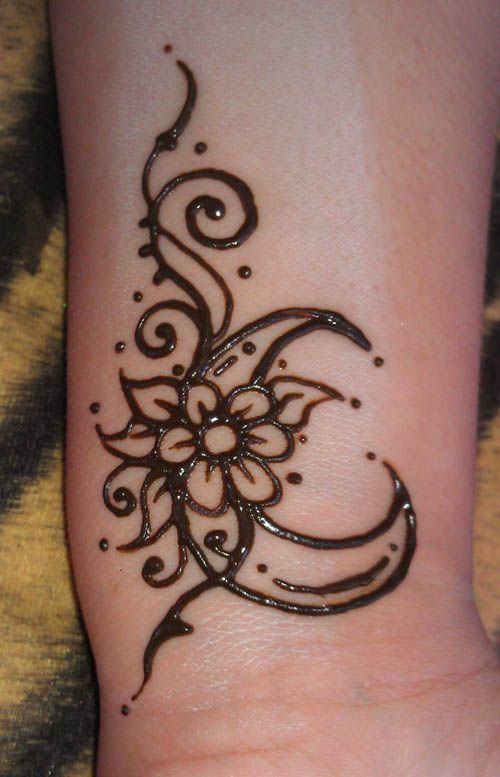 You can get one on your shoulder or even your arm to let everyone see this chic design! A complicated structure for the experienced ones, fill up your hand with this structure of florals that cover up your wrist and fingers! Draw a work of art by adding layers to your design with this half flower look and shade them up to astonish everyone with this pattern! A version of intricacy, choose this design for festivals and ceremonies that would complement your traditional outfits with panache. 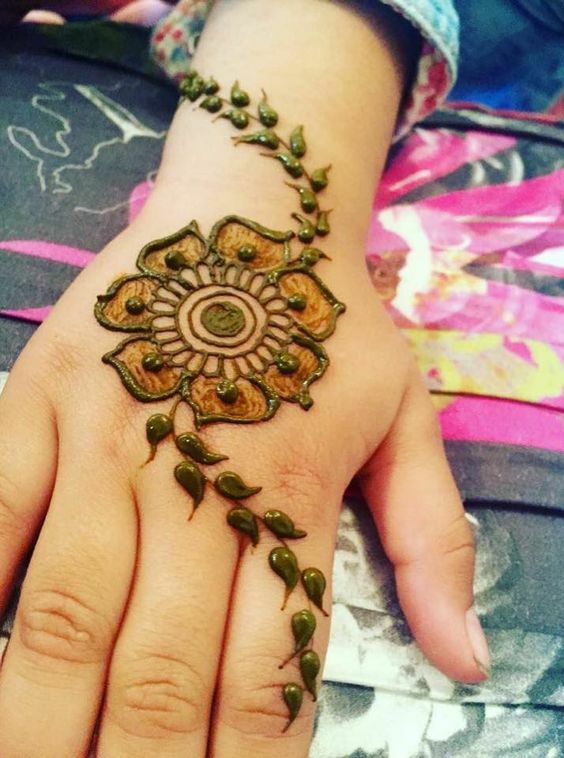 With a simple flower motif, add on your creative touch in the form of swirls or patterns that would showcase your uniqueness to the world! 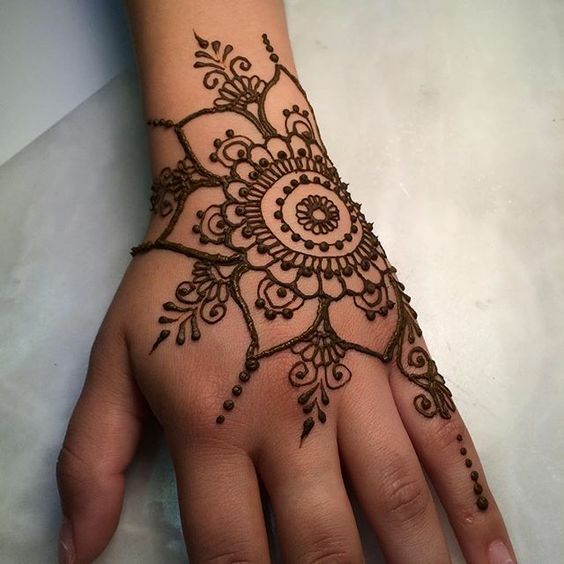 An intricate continuous circular pattern combined with the floral motif, create a structure that would cover up your entire palm. 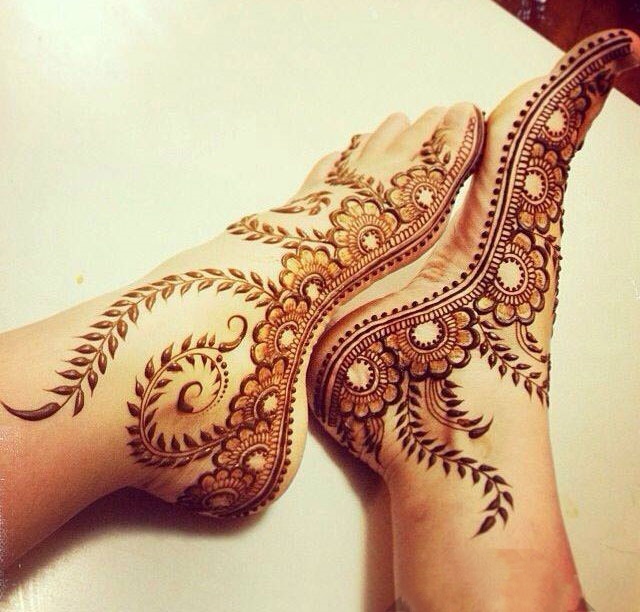 A design for your feet, make a design through vines and flowers that you can flaunt with your lehengas and sandals! 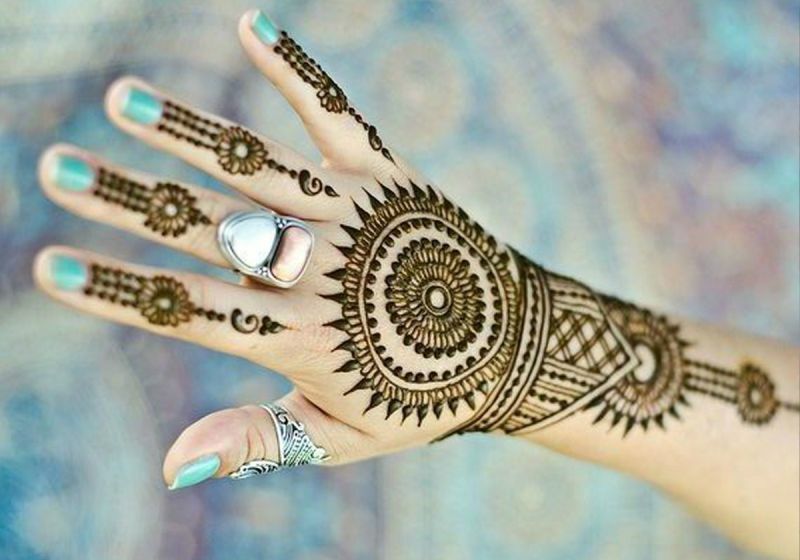 So, pick out a pattern that can complement the occasion you’re attending or just experiment with these designs because of your love for henna! 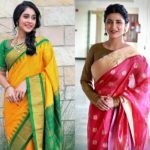 Either way, add on some of your own flair and flaunt your style through these patterns! 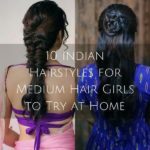 This is The Most Favourite Hairstyle To Wear With Saree Even Now!